The American government “is using its power to intimidate, prosecute and prevent government employees from sharing information about state officials’ misconduct”, insists Stephen Kohn, attorney and author of The Whistleblower’s Handbook. This attack on whistleblowers in America is an attack on fundamental freedom of speech, “preventing the American people from learning about the abuses of their government,” warned the attorney. “The First Amendment was enacted to prevent precisely what we’re seen unfolding today. 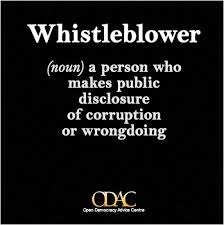 People in the government witness abuses and they have a right to blow the whistle on them,” Kohn points out. “We are challenging the legal predicates that they have used to prosecute and suppress throughout this country. We are challenging them because they are illegal and unconstitutional,” he said.